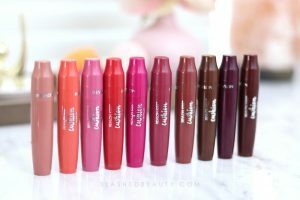 For those of you who are a bit tired of matte liquid lipsticks, today I’ve got a review just for you! While they’re still my go-to for most looks, I’m a bit overwhelmed with so many new liquid lipsticks being released but very few actually standing out among the sea I already own. 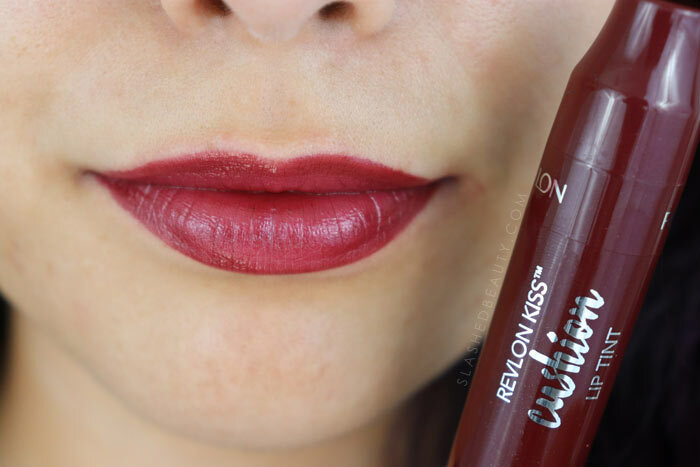 So I was actually really excited when the Revlon Kiss Cushion Lip Tints landed across my desk, because I was just ready for something different. 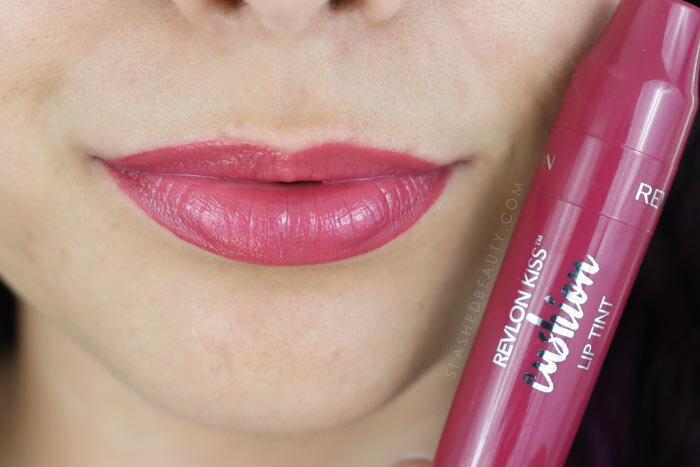 The Revlon Kiss Cushion Lip Tints are a click-pen lip product that I’ve been wearing nonstop the past week. They apply like a gloss with a formula infused with coconut oil, with buildable color that can be applied thinly like a stain or more intense like a highly pigmented lacquer. 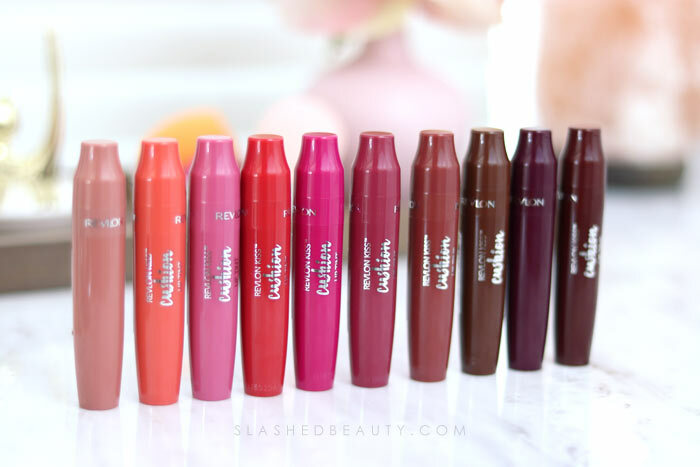 They feature a cushion tip that you apply directly on the lips from the tube, and in general have been an easy swipe-on lip color for every day looks. I suggest shaking the tubes prior to clicking them up for the first time— a few of the shades tend to dispense more oily than the others, which can effect the wear time and finish. Usually, the tints apply with a slick yet creamy texture. Because of the creaminess, I feel like I get better color coverage than liquid tints. 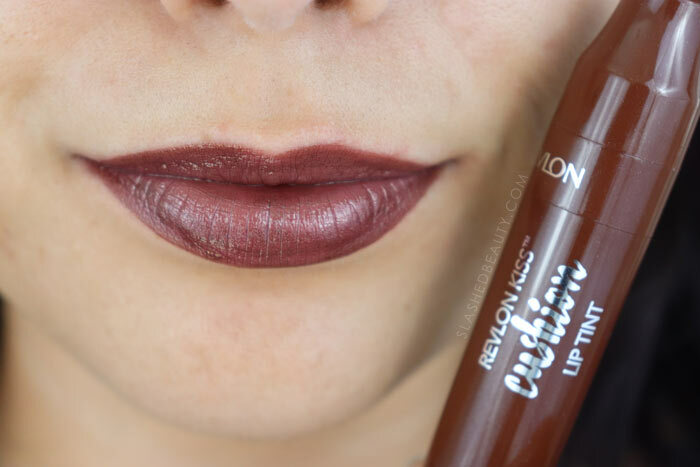 If you apply a thinner layer, you get a blotted lip look like a stain. 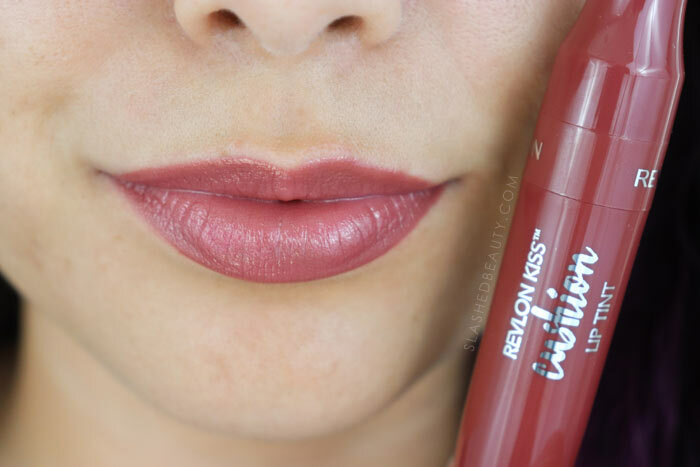 They aren’t opaque, so the finished look can vary depending on your own lip color. However, applying them a little heavier can get a bold and glossy color that makes more of an impact. I will warn you though, that because these do not dry down when applied in a thick layer, they are prone to smudges or transfer. Let’s take a look at the shades. 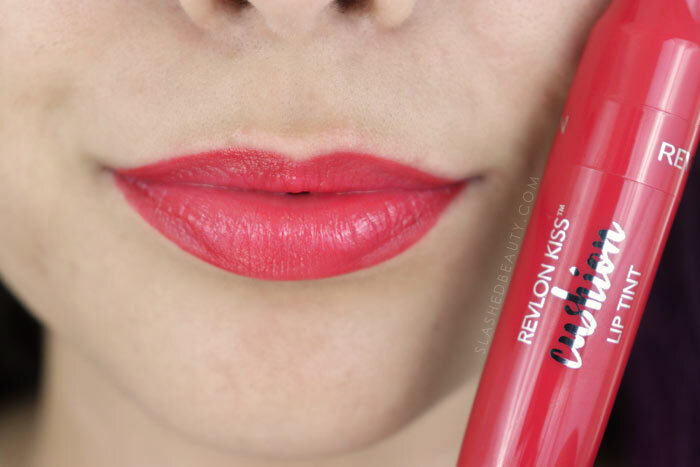 Pretty Kiss is a pale beige pink, which is probably the hardest to pull off if you have darker lips. Pink IRL is a bubblegum pink. 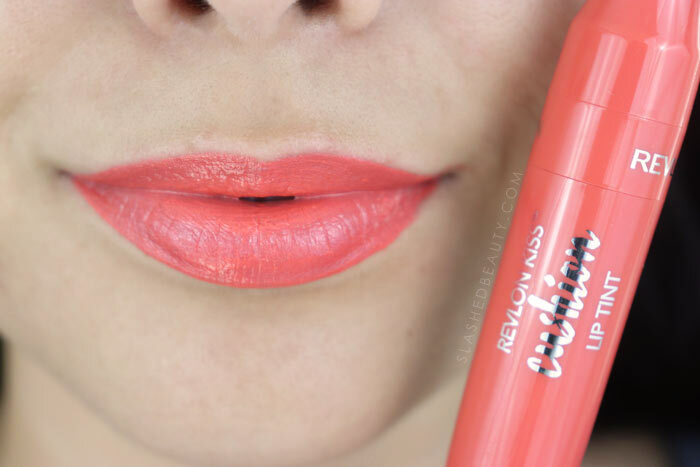 High End Coral is a coral shade that leans on the orange side. 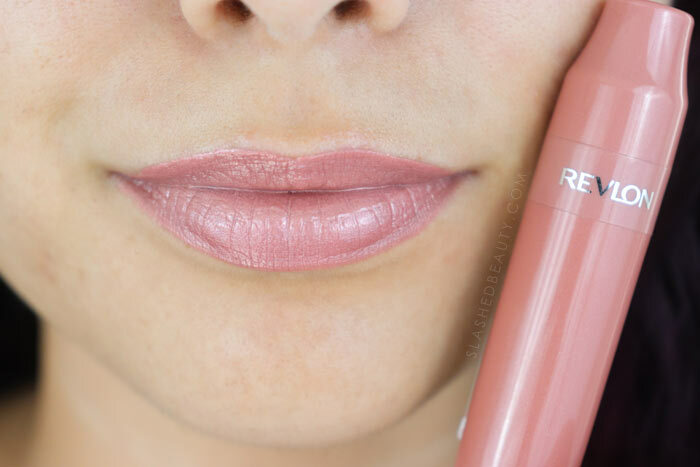 One of my faves, Fancy Rose is a neutral dusty rose shade. Naughty Mauve is more of what I would consider a berry shade, a medium neutral pink. Crimson Feels is a bright, warm red. Another shade I believe to be misnamed, Berry Lit is more of a bright fuchsia. Wine Trip is a deep, yet wearable, red. Chocolate Pop is a medium cool brown. 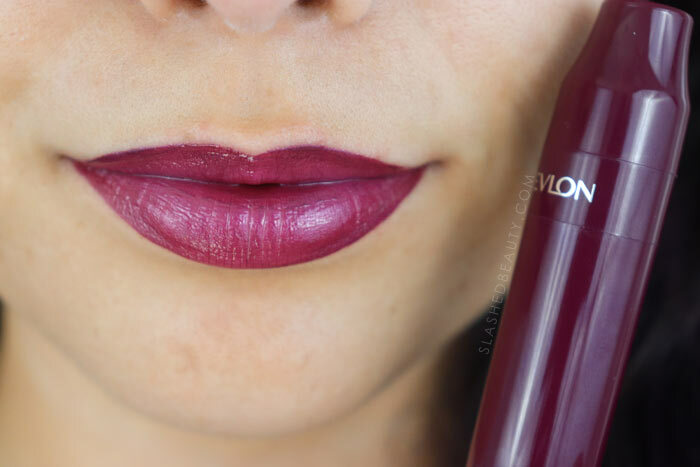 Extra Violet is a beautiful medium plum shade. Wear time of these lip tints depends on how much you apply. Thinner layers that are able to dry down can last a lot longer than if you’re wearing it like a gloss. Either way, I’ve found that I do need to reapply after a meal if you want the color to be more obvious. Once it wears off, you’re left with a very subtle tint. 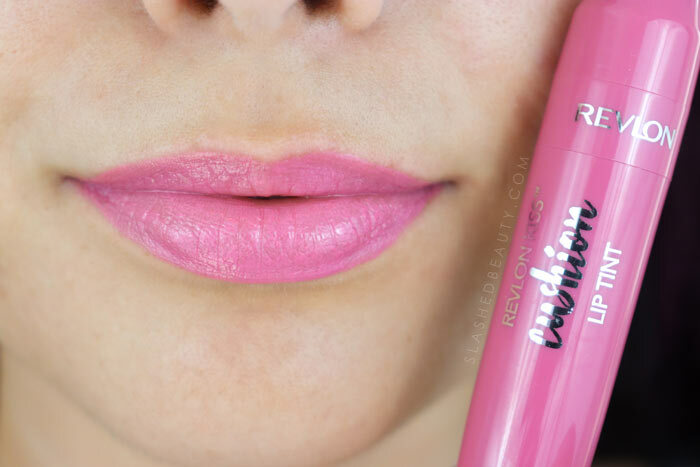 If you are building up the color, this is not a product you want to over-line the lips with, like a liquid lipstick. I’ve noticed that the only time I ever experience any feathering is if I’ve gone outside of the lip lines with the tint. I will say I’m not a huge fan of the packaging, only because the clicking can become a bit difficult once the product does start dispensing– a bit stiff feeling. Also, I worry that the product will clog since it comes up straight through the cushion applicator. It reminds me of my Too Faced Melted Lipsticks— my older shades are now dried up and I cannot retrieve product anymore, even though I know there’s more in the tube. But, these are incredibly comfortable to wear, and have been saviors for my dry lips this fall. 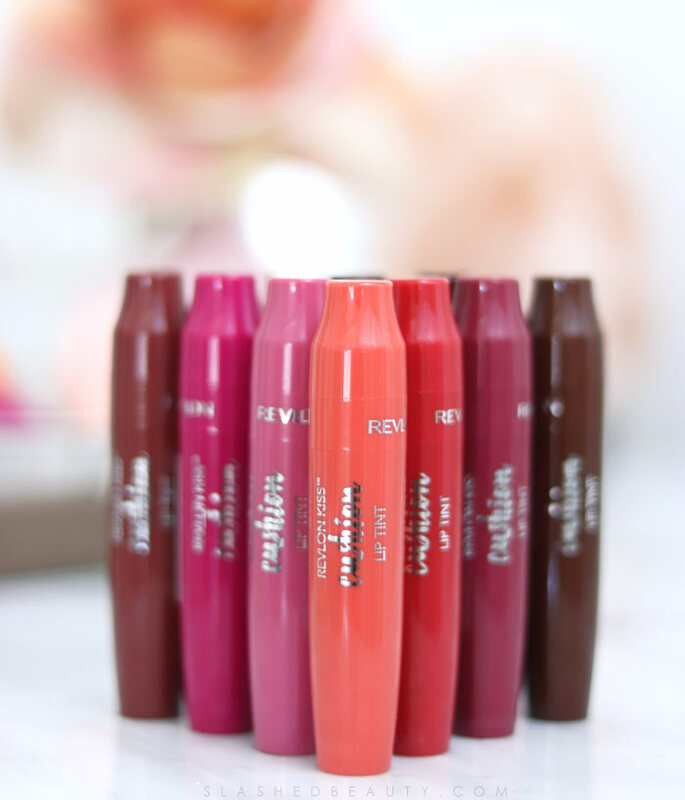 When my lips aren’t looking smooth enough for a matte, these have been great go-tos for a quick flush of color while nourishing with the coconut oil formula. I like keeping Fancy Rose in my purse as an everyday shade. 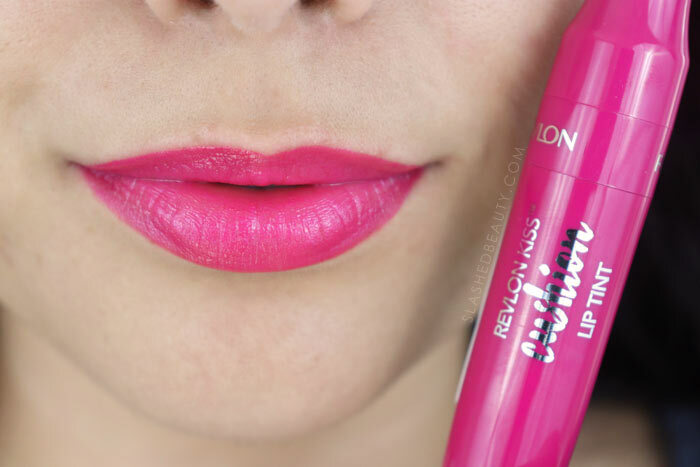 You can find the Revlon Kiss Cushion Lip Tints for $9.99 at Ulta Beauty. 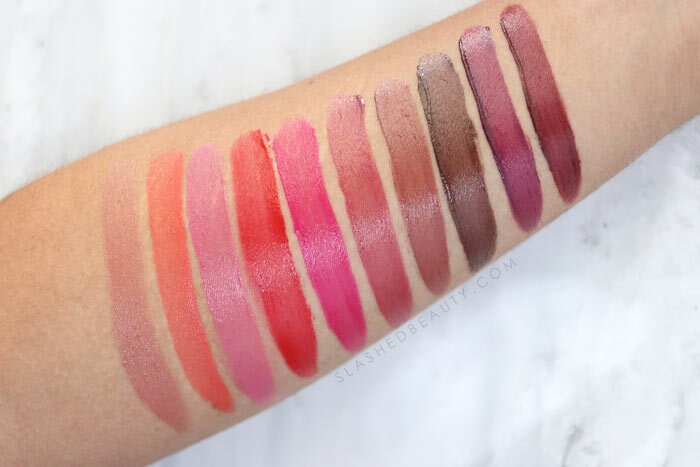 Could you take a break from liquid lipsticks for a tint like these? This is very upsetting. 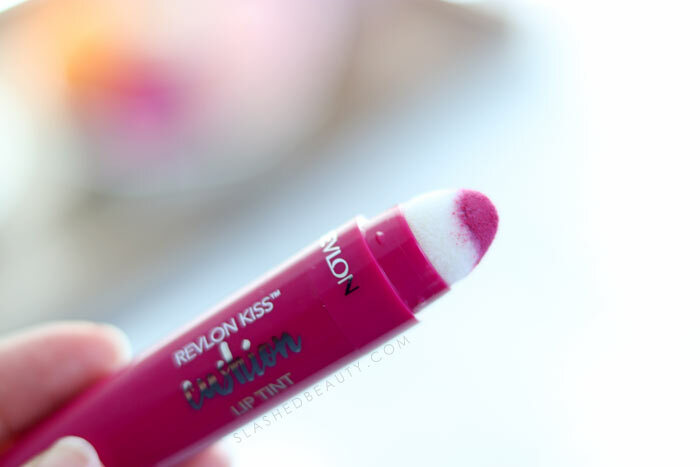 I just got a Revlon kiss cushion lip tint and can not make it dispense. Help how does it work.? Something just broke. Please advice. It takes a while on your first time to get it to click all the way up. Keep twisting until you start to see the product come through the top! I bought the “Naughty Mauve” yesterday and can’t seem to get any product to showup on the cushion. How many times did you have to twist to get any product out? The first time you gotta click it A LOT. I was clicking for like 2 minutes straight before it finally came out. Not at all! 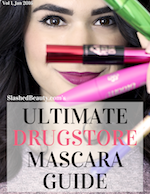 These are all super cushy formulas that are perfect for my dry lips this season!